Are you a Game of Thrones fan? Poor Ned Starke! 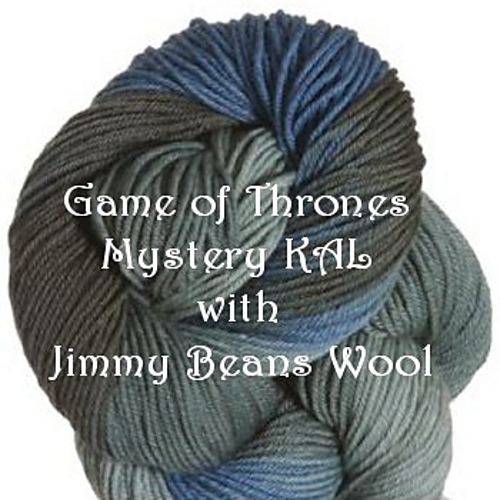 If you are, good news: Jimmy Beans Wool is having a mystery knit-a-long on Ravelry. The Ravely page for the KAL can be found HERE (or click on hank above). -The 1st actual knitting clue of the Game of Thrones KAL will be released on the JBW Blog on Sunday, March 31st, the day that Season 3 of Game of Thrones premiers. -Each clue will be released each week on Sunday morning (around 6 am PST) before the new episode of the show airs. -This Mystery KAL will be presented in 4-6 clues and will wrap up before the final episode of the season.